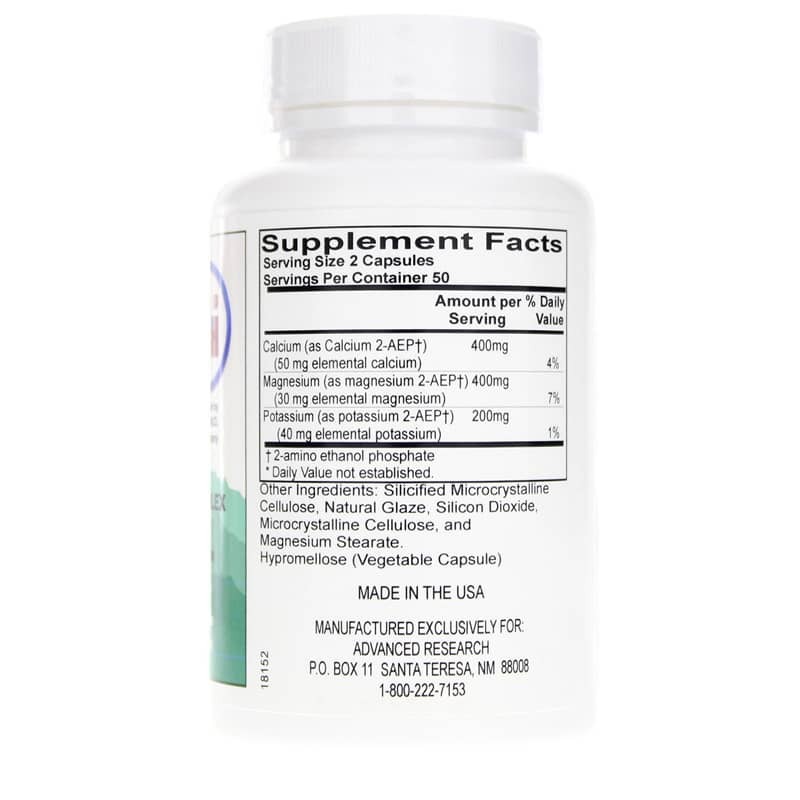 2-AEP is a patented substance that acts as a mineral carrier. It helps minerals effectively absorb into the body. 2-AEP is actually the biochemical component that makes up the outer cell membrane of the body. When ingested in supplement form, it helps to strengthen, seal and protect healthy cells. 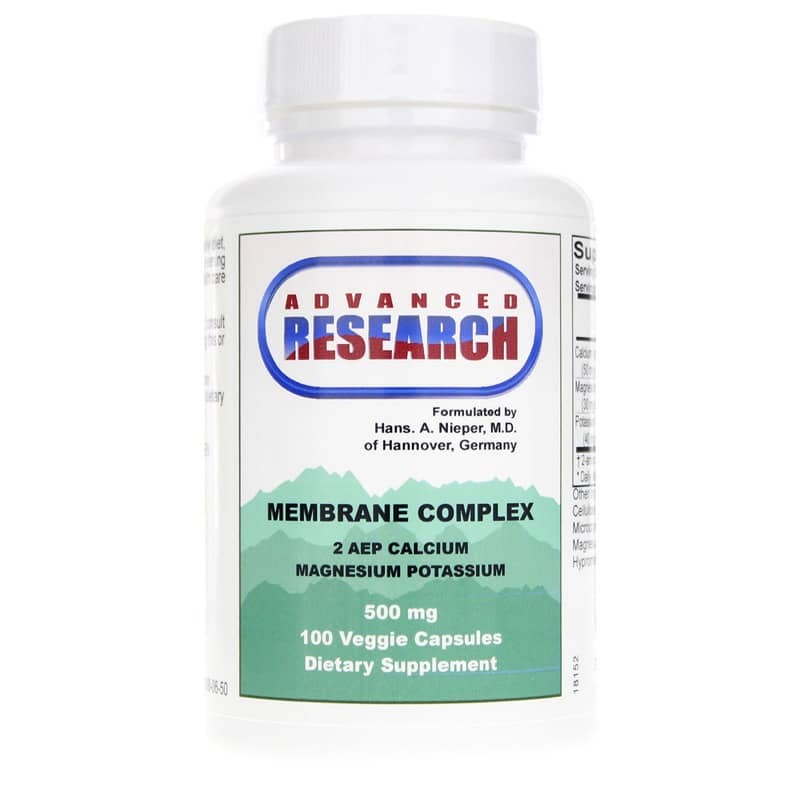 Advanced Research offers a natural supplement called Membrane Complex that contains calcium, magnesium, potassium and 2-AEP. Recommended use is to take one or two capsules morning and evening before meals, or as recommended by a healthcare professional. If you're looking for a natural supplement that rejuvenates all of the cells in your body, check into Advanced Research's Membrane Complex. Order online today! 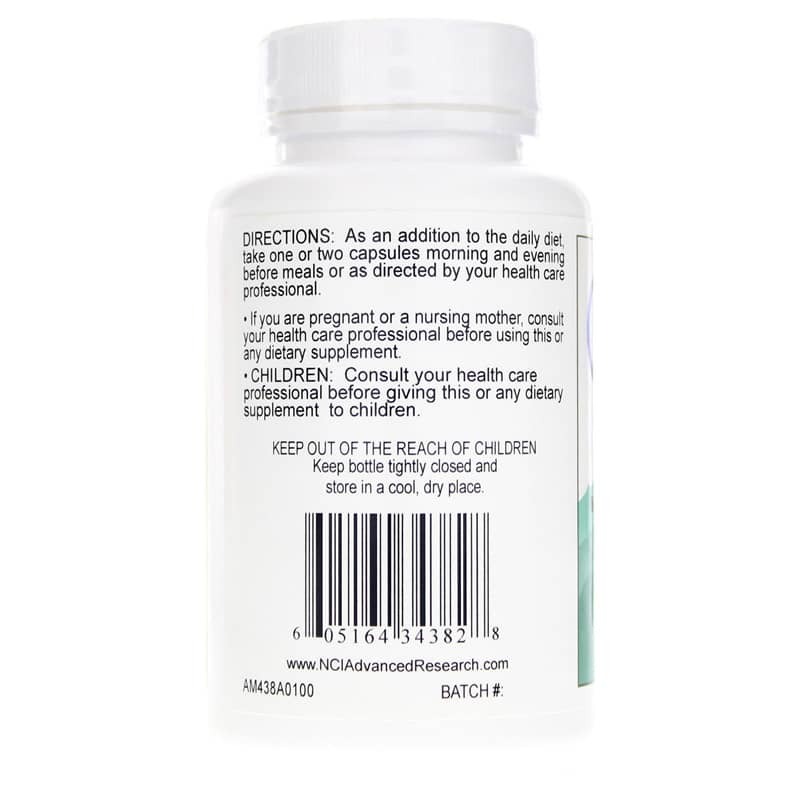 Other Ingredients: silicified microcrystalline cellulose, natural glaze, microcrystalline cellulose, silicon dioxide, magnesium stearate, hypromellose (vegetable capsule).